You may go in search of whales and find yourself bearing witness to a glacier calving. 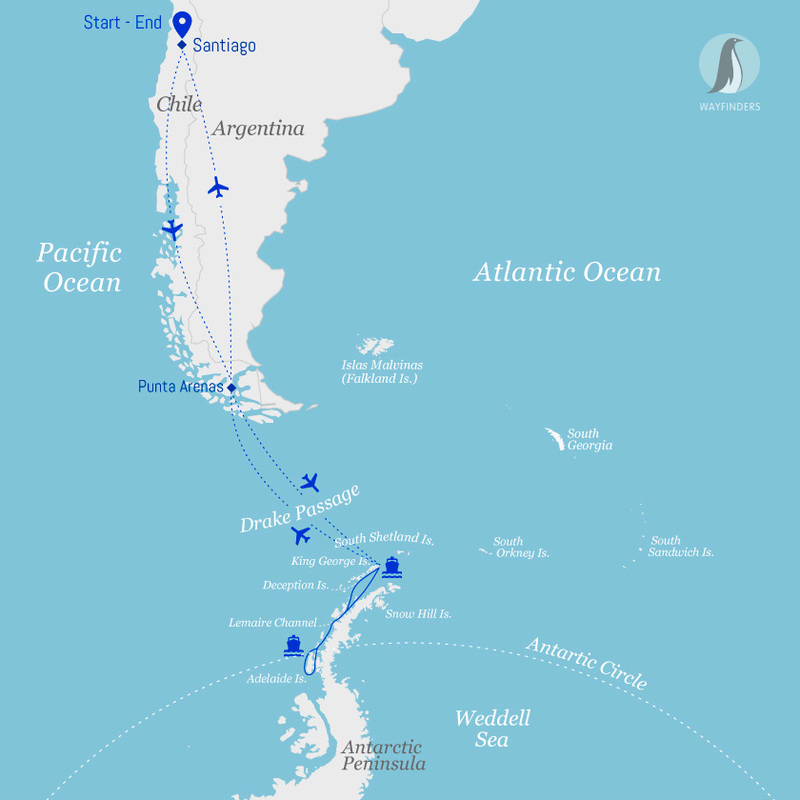 A short, comfortable flight from Punta Arenas, Chile, to King George Island in Antarctica has you with boots on the ground in no time, overtaken by the sheer magnitude of the 7th Continent. Fully immersed in the Antarctic environment, you’ll experience a roller coaster of emotions, from excitement to exquisite solitude to incredible gratitude for the wonder of it all. You may go in search of whales and find yourself bearing witness to a glacier calving. Or you may plan to climb one more peak for a better vantage point and find yourself in a rookery of curious penguins. 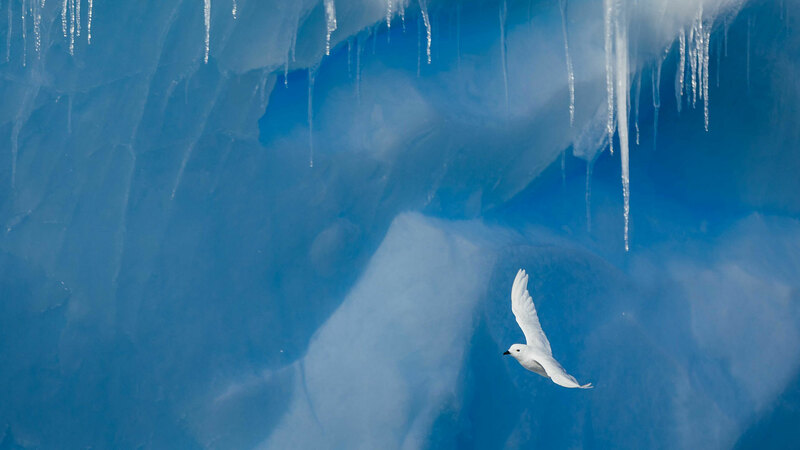 Antarctica will leave you in awe, but it won’t leave you unchanged. Your adventure begins with an included flight from international gateway Santiago to Punta Arenas, Chile, the most populated city in Patagonia. You will be transferred to the included group hotel. In the afternoon, a Quark Expeditions representative will meet you at the group hotel, where you’ll enjoy a welcome dinner and be briefed about preparing for your embarkation day.